Kohler toilets are one of the more popular toilet brands in the U.S. They're well made, efficient, and come in a variety of styles. However, even Kohler toilets will suffer from wear and tear. Replacing a failed part of the toilet, such as the tank, can be simple or a little more time consuming, depending on your Kohler model. You can quickly change out the tank of a two-piece Kohler toilet. But you will have to pull out the whole toilet to replace a one-piece Kohler toilet tank. Turn off the water supply at the wall. You can find the shut-off valve by following the inlet hose from the tank to where it connects to the wall. Flush the toilet to get rid of the water. Mop up any leftover water with a sponge and towels. Detach the Kohler tank from the base by unscrewing the two bolts inside the bottom of the tank. In most models, the bolts inside the tank have a screwdriver head, allowing you to use a screwdriver to hold the bolt steady while you unscrew the nut at the other end with a wrench. Or you could hold the wrench steady on the nut at the bottom and unscrew the bolt. Remove the bolts and washers. Gently lift the tank up and out of the way. Install the new Kohler toilet tank as you align the two bolt holes in the tank with the holes in the bowl and align the tank gasket with the inlet port on the bowl. Thread the bolts and washers back into the tank holes once the tank is in place. Screw the nuts and washers on the end of the bolts and hand tighten. Tighten the nuts another few turns with the wrench. Turn on one side, and then the other. Alternate tightening the sides in order to keep the pressure even. Add a few drops of plumber's goop or tape to the water inlet connection on the tank. This will ensure a watertight connection. Then screw on the water inlet hose. Tighten with a wrench. Turn the water on and allow the toilet to fill. Check for leaks. Turn off the water supply, clean out the water and disconnect the hose by following the steps above. Unscrew the bolts at the base of the bowl that hold the toilet to the flange. 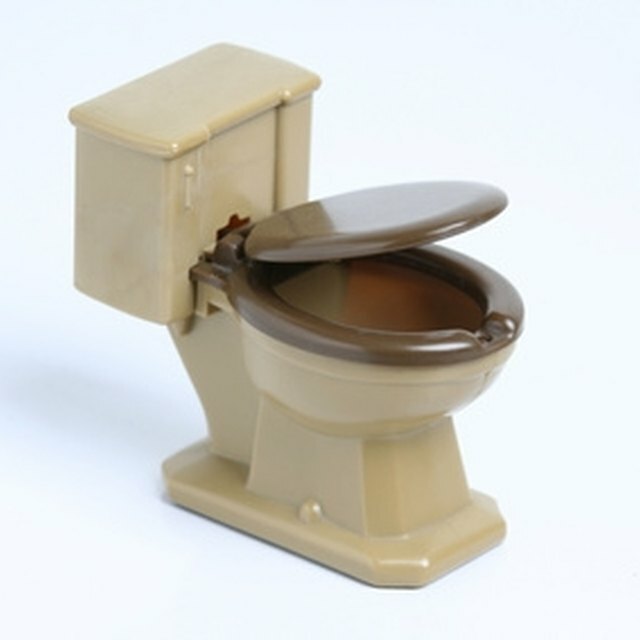 Gently rock the toilet back and forth to loosen it from it's fitting. Then lift it up and out of the way. Clean out the remnants of the old wax ring on the flange and install a new wax ring in its place. Insert the new flange bolts into the flange. Turn the new Kohler toilet over. Add a thin strip of caulk or plumber's putty along the bottom of the tank. This will help ensure a watertight seal between the bowl and the floor. Lower the new Kohler toilet onto the wax ring, making sure the flange bolts poke up through the holes in the base. Press the toilet down gently onto the flange to make sure it is set on the ring. Thread the nuts and washers onto the bolts in the toilet base. Hand tighten, then tighten one side at a time with the wrench. Reattach the water supply as in Section 1 and then check for leaks. Caulk around the base of the toilet. The steps above are a guide to be used along with the manufacturer's instructions. Do not overly tighten any of the nuts or the porcelain could crack. When cleaning off wax rings, wear gloves; this part of the toilet is filled with harmful bacteria.